Get ready for a reveal sometime in 2017. 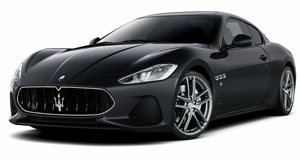 We’ve known for a while now that Maserati has been developing the next generation GranTurismo. While a good chunk of the attention was on the Alfieri Concept, which has just been approved for production, the Italian automaker’s large GT sports car will live on. According to a new report from Auto Express, it’s been confirmed that the 2017 GranTurismo will be a coupe only, meaning no convertible version will be offered. 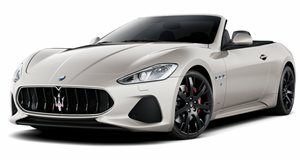 “The GranTurismo will be replaced at the end of 2017, but as a coupe only,” stated Maserati manager of Northern Europe, Peter Denton. “We feel that gap will be filled by the Alfieri Spider, due in early 2017.” Overall details about the next GranTurismo are scarce, but Denton hinted that it won’t be any bigger than the current car. In fact, it’ll be more compact because of Maserati’s latest design language. We also know it’ll retain its rear-wheel-drive architecture and power will come courtesy of a 3.8-liter twin-turbo V8 producing more 550 horsepower. The Alfieri, so that it doesn’t step into GranTurismo territory, will feature a turbocharged 3.0-liter V6 capable of producing no more than 513 horsepower.